My top spice tool is the volcanic stone mortar and pestle I hauled back from Singapore 15 years ago. On a primitive level there’s something deeply satisfying about the raspy thunk of the pestle as it smashes whole spices against the side of the rough, grey mortar. 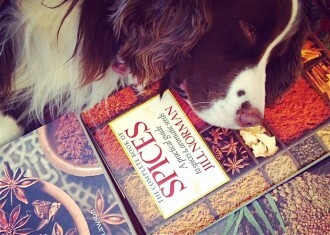 The aroma of Tellicherry peppercorns, crushed by hand, is positively intoxicating. 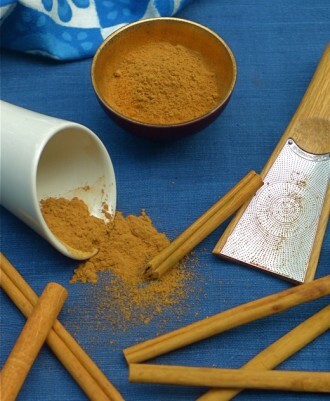 It’s ideal for pounding wet spices like garlic and ginger, and making small quantities of pesto or curry paste. Just after dawn, Nick and I walked through the woods behind our house. As we neared the pasture, I was startled by frantic honking overhead. Eleven geese were circling wildly. They were in distress–panicked, as if they’d lost their bearings. Eventually they landed in the pasture. A minute later, another small flock, equally bewildered, flew over, circling anxiously for a minute until they too landed on a patch of grass. Did Hurricane Andrew blow them off the Outer Banks? Probably. But maybe the poor geese are just another an omen of our troubled world. Lost, panicked, anxious—these words could apply just as well to us. From the ridiculous degradation of our political process to the relentless slaughter in Syria—and a thousand horrors in between—some mornings it’s hard to see the light at the end of the tunnel. What to do? For some of us, it means creating a psychic refuge into which we can retreat from the onslaught of daily events. One key rule: Take notice of the beauty all around us. 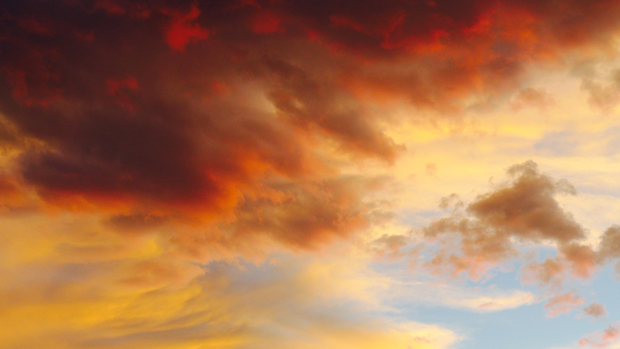 Clouds illuminated by the sun setting over the Sangre de Christo mountains in Santa Fe recall the 18th-century frescoes of the Venetian painter Tiepolo. In Santa Fe last month, I was riveted by sunsets that rivaled the light-struck skies in the 18th century paintings of the Venetian Giovanni Battista Tiepolo. At night the inky heavens blazed with sparkling stars and constellations I didn’t recognize. One morning I saw an upside down rainbow. It hovered, just for a moment, like an inverted horse shoe over a trail winding into the mountains. The naturalist and writer Edward Abbey famously described the earth as “the only paradise we shall ever know, the only paradise we ever need—if only we had eyes to see.” Back at home, I’ve been trying to open my eyes (and all my senses) to the wonders of the natural world—glorious trumpet flowers blooming late in October, for instance, or the feel of velvety green moss under my feet, the sound of the last frogs splashing into the Chinese water pots. Now, in search of beauty in the kitchen, I now find myself disposing of the disposable, replacing what’s ugly or no longer works with fewer wares that are not only lovely to look at, but also a joy to use. It’s the difference between cooking as a chore and cooking as pleasure. Lately these new acquisitions (yes, shopping is in my DNA) are made of materials like gleaming copper and glittering micaceous pottery—“jewelry for kitchen,” as Heidi Swanson once wrote. But far from mere adornment—well, yes, they are pretty!—these pots, pans and other vessels are also high performance cooking partners. In most, the hand of the creator or craftsman is evident; often they are made using centuries-old techniques. 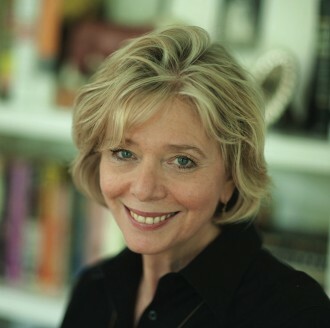 All eschew plastic and other flimsy substances for materials whose connection to the natural world is integral and visible. “Authentic” is an over-used term, but that’s what they seem like to me. So here’s a quick look at a few of my new favorite pieces of kitchenware, and tips on where to find them. 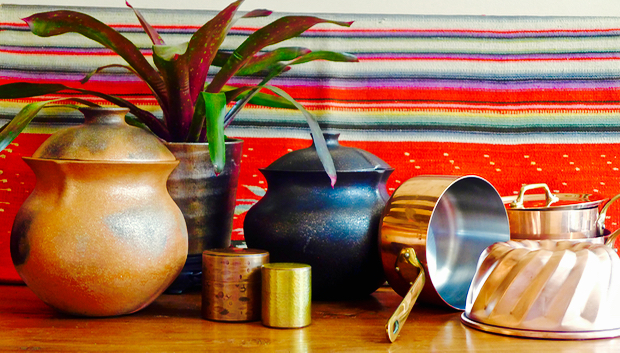 Pleasingly plump bean pots by a Colorado artisan are made of red & black clay flecked with sparkling “gold” mica. The mineral rich earth not only strengthens the pot, but lends a distinctively delicious flavor to the food cooked within. I recently picked up two beautifully proportioned bean pots in Santa Fe, one made of red clay, one of black, both naturally flecked with glittering bits of mica. The making of micaceous pottery for everyday cooking is a traditional craft long practiced by the Apaches and other Indian tribes of the Southwest, particularly in New Mexico where there are natural deposits of mica-rich clay in the Sangre de Christo mountains. Although mica-flecked cook pots fell out of favor when traders introduced “modern” aluminum kitchenware, in recent decades dedicated potters of Indian descent such as Felipe Ortega have revived the traditional craft. 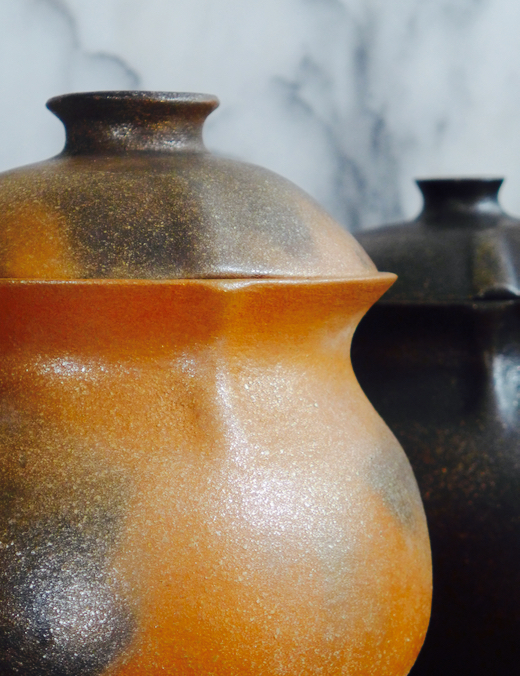 Although pots by named artisans can command stratospheric prices, it is possible to buy attractive, functional pieces at relatively modest cost. At the Santa Fe School of Cooking, for instance, the commercial La Chamba line of black micaceous pottery ranges from $26 for a small bowl to $145 for a large oval roaster with lid. Café Pasqual sells micaceous clay cookware made by Jicarilla Apaches; prices, based on the volume of the pot, begin at $110 per quart. The restaurant also sells cookware made by Felipe Ortega and other star potters; availability varies. I found my own bean pots at the Museum of Spanish Colonial Art in Santa Fe. Made by an artisan in southeastern Colorado, they are sculptural and pleasingly plump, the “gold”-flecked surfaces subtly colored, and the close-fitting lids have a gentle raised vent for steam. I paid about $300 apiece, and do not regret a single penny. They’ve utterly transformed the black beans and pork and green chile stew that I love to cook when the weather turns cool. These lustrous tea containers are made of single sheets of copper, flattened, stretched and pounded into shape, then treated with chemicals to create subtle differences in coloration. Air tight inner lids keep the tea leaves fresh. 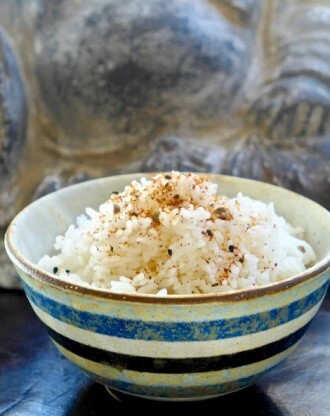 Anzu New York is my favorite online purveyor of all things Japanese. This is where I vanish down the rabbit hole, tantalized by Masanobu Ando’s moody silver ceramic plates, Ryuji Mitani’s handcrafted butter boxes with wooden knives, and our beloved Akio Nukaga pottery, including the indigo-striped bowls and pleated “mug cups” we use everyday. 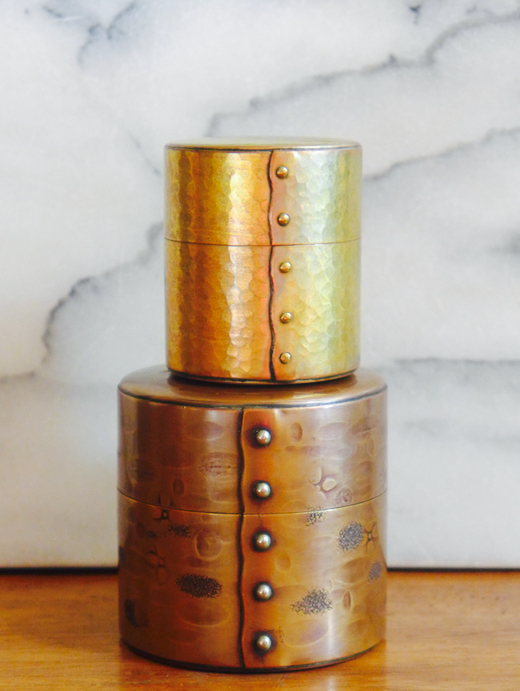 These lustrous tea canisters pass the test. Each is made of a single piece of copper that has been flattened, stretched and shaped by careful pounding with a special mallet. Chemicals applied to the copper create subtly different metallic shades, here ranging from coppery-bronze to warm brass. Each one is lined with bright tin. Not only are they beautiful—so much more elegant than the bags and boxes that litter our pantry—but the inside lids are virtually airtight, ensuring that the precious matcha or green tea powder I found at Ippodo in Kyoto retains its brilliant color and freshness. This trio of beautiful copper pans with brass handles is made in France by DeBuyer. Just putting them on the stove ups the glamour quotient of any kitchen, but copper is also a dream for everyday cooking. No hot spots! I’m afraid I spend far too much time ogling the gorgeous kitchenware at Quitokeeto, the irresistible web shop run by Heidi Swanson, the popular San Francisco blogger at 101 Cookbooks. 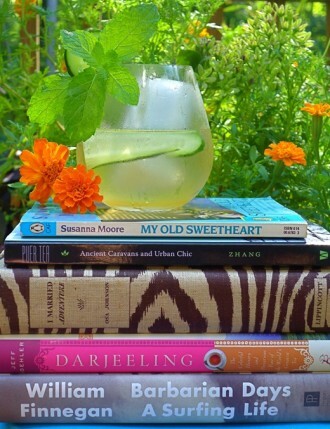 Heidi, whose own books include Supernatural Everyday and Near & Far: Recipes Inspired by Home and Travel, also happens to have a superb eye for beautiful, functional. hard to find cookware. Oh, did I mention her vintage diamond jewelry? Not too long ago I fell seriously in love with a trio of copper pans made in France by the venerable cookware manufacturer De Buyer. As Heidi notes, they boast “clean, geometric lines, [a] minimalist silhouette…and the warm, bright glow of simple brass handles.” Simply having them on the stove ups the beauty of my workaday kitchen (currently in dire need of renovation); the look is akin to wearing your best baroque pearls with a ratty denim work shirt. But De Buyer has been making cookware for professional use in France since 1830, so cooking with these pans is a dream: Copper is exquisitely responsive to even slight calibrations in heat so you can raise or lower your flame with almost instant results; it also conducts heat evenly so there are no hot spots. The pans can handle the high heat needed for a saute, Heidi explains, or you can slow-simmer soups such as David Tanis’s Mushroom Miso version that has lately become an in-house favorite. 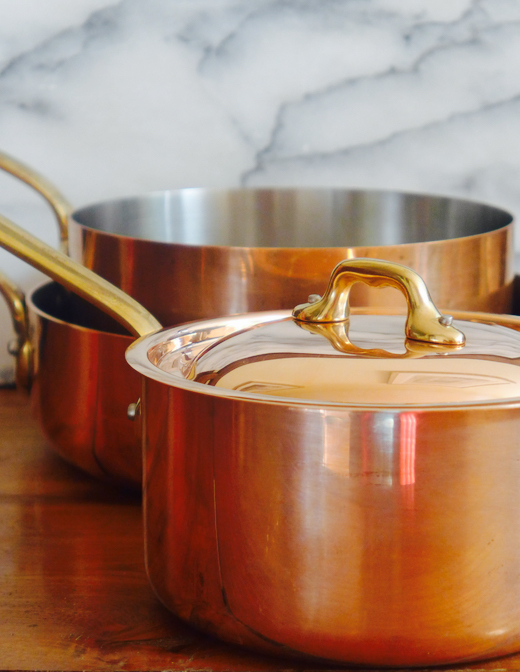 The scratch-resistant stainless steel lining will not rust, tarnish or oxidize; unlike the tin lining in many other copper pans, it never has to be replaced. Unsurprisingly, this high level merger of form and function is a bit of an investment. A set of three pans with well-fitting lids—a 3 quart saute pan and two sauce pans, a small 1-3/4 quart and a larger 3-3/4 quart–runs $1,595. 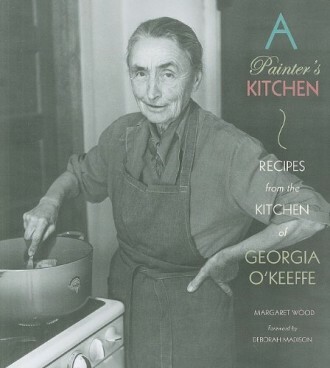 (You can also buy the pans separately, if you prefer.) While surviving on pasta for the next 3 months, just remind yourself that you’ll eventually be able to hand heirloom quality cookware down to your children and grandchildren, should they be so lucky. This heirloom quality copper cake pan has a ceramic lining which lets the cake–say, Heidi’s buttermilk version with vanilla glaze–slide effortlessly onto a plate after baking. 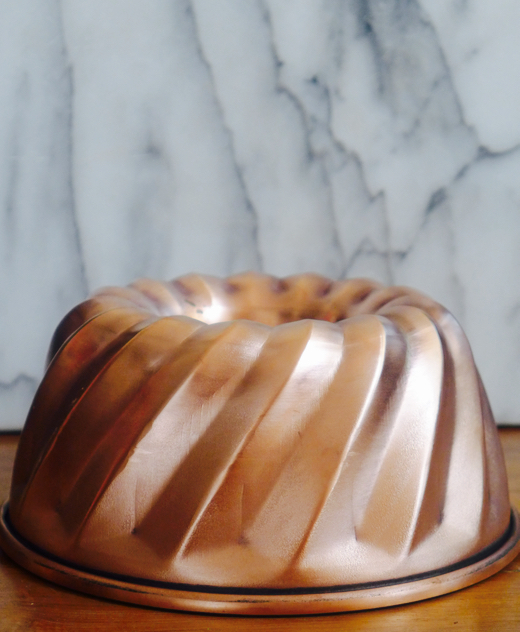 This German bundt cake pan is my latest find at Quitokeeto, one so new that I haven’t even used it yet—but I had to give you a peek. The softly gleaming copper exterior is as alluring as the ceramic interior is functional. As Heidi notes, “cakes slip effortlessly” from such a pan. There is nothing flimsy here: it is heavy and substantial, and like DeBuyer cookware, could be handed down for generations to come. I love Heidi’s idea of lining up a collection of copper cake pans on a kitchen shelf, an idea that’s not only beautiful but one that might also inspire a baking (and Instagram) extravaganza. This 7-3/4 inch pan could get you started ($200).